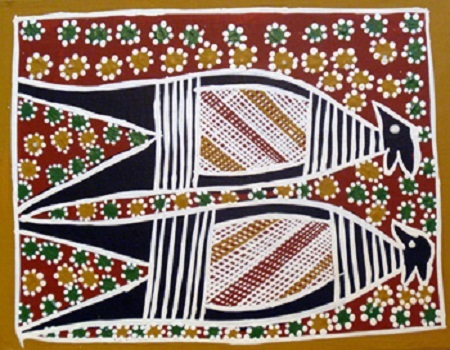 Johnny Bulunbulun is a senior member of the Ganalbingu group and is one of the most important singers and ceremonial men in north-central Arnhem land. 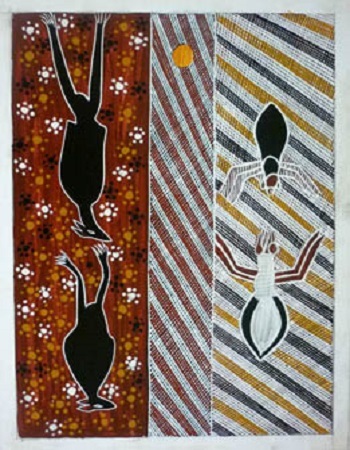 His clan lands lie in the Arafura Swamp area, although he lives with the Burarra people at Wardeja. 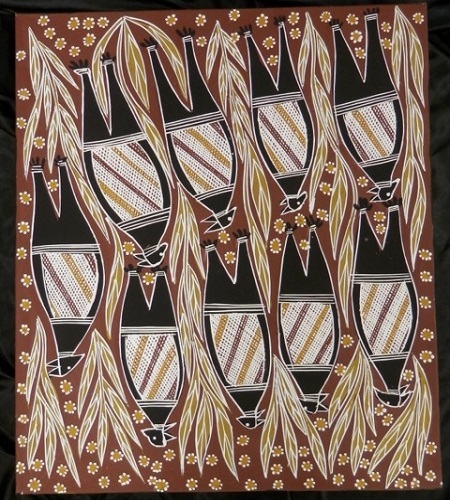 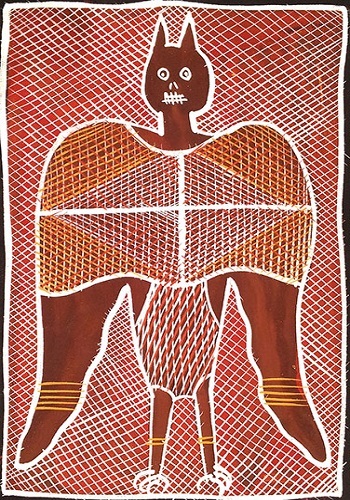 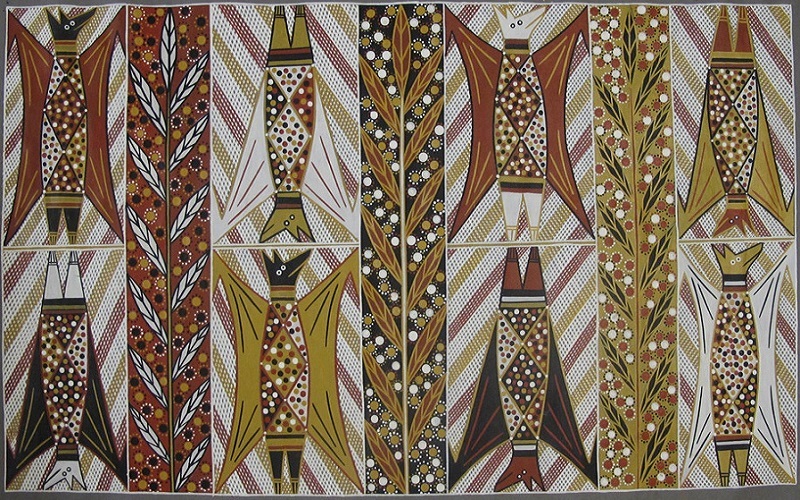 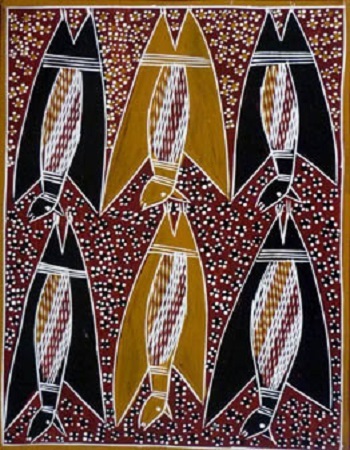 This is a Yirritja moiety painting which depicts warrnyu 'the flying fox' (Pteropus alecto). 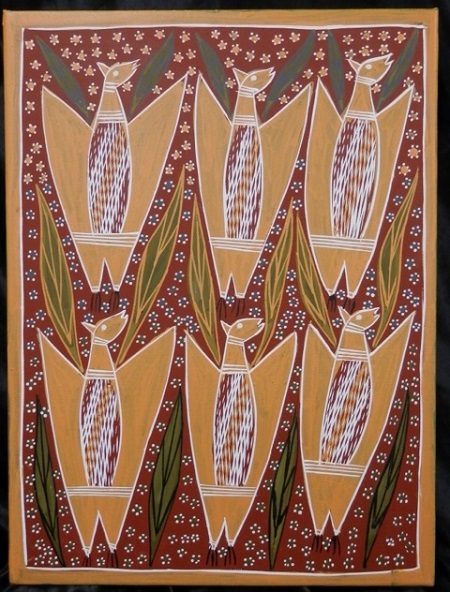 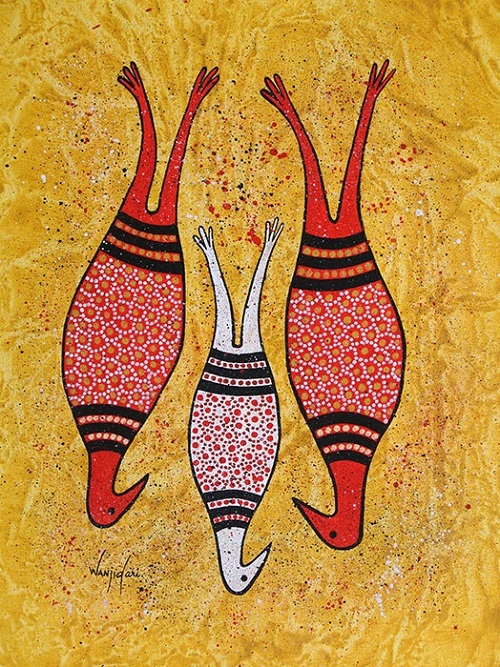 Warrnyu is the artist's clan totem and is shown here in the artist's country. 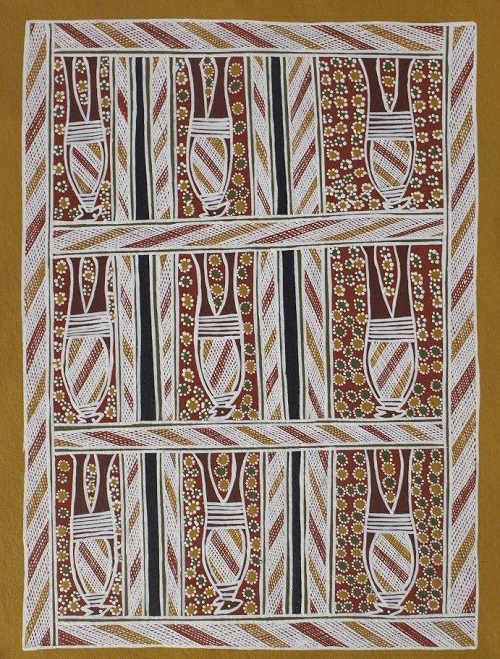 The panels of cross-hatched stripes represent the rocks in this country, while the central black stripe represents water which springs from underground. 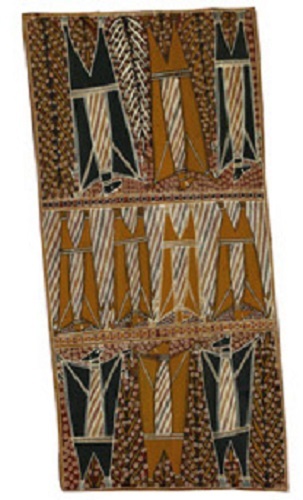 The floral-type patterning on this stripe represents ngugarra 'bat faeces' which is significant to ceremony; it falls into the water from the high stones on either side of it where the bats live and play. 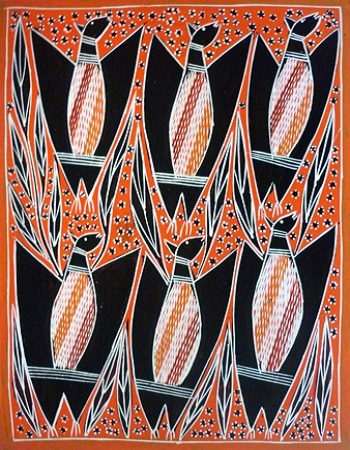 The stripes of cross-hatching at the top, bottom and middle of this print mark the different sections of Ganalbingu country. 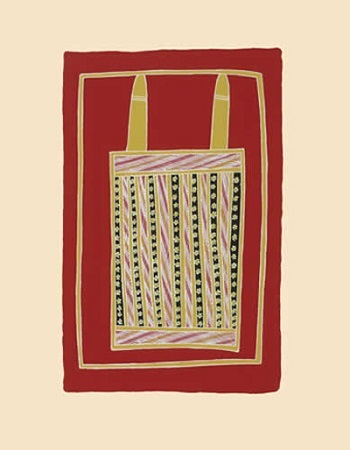 This design is used for funerals and young men's ceremonies, when it is painted on the body of a man who has inherited the warrnyu as his clan totem. 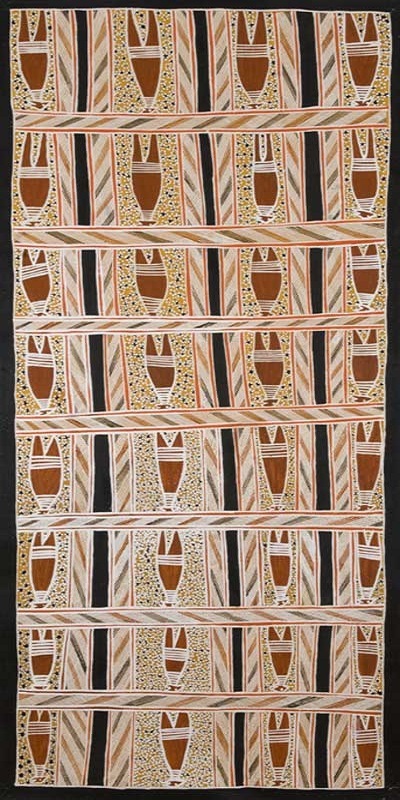 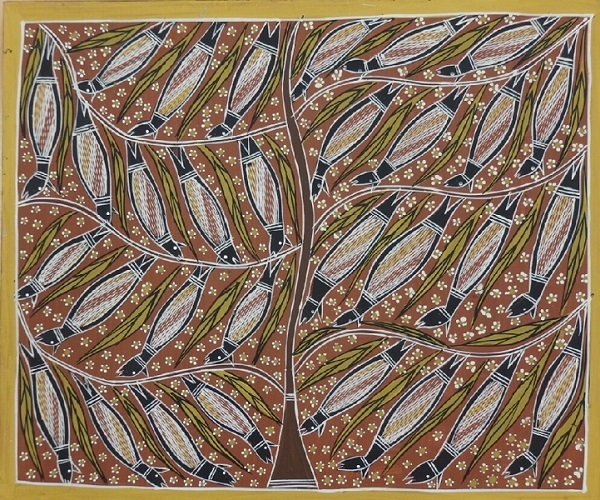 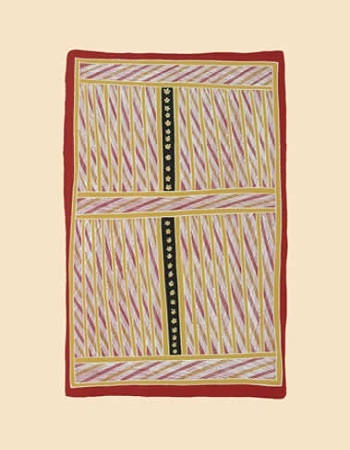 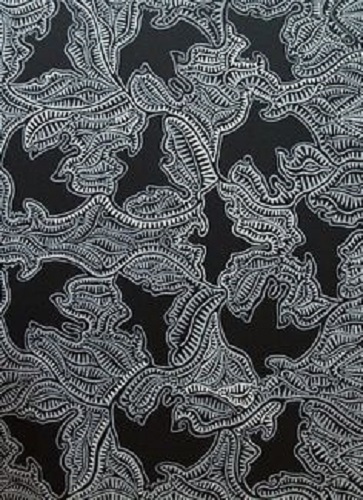 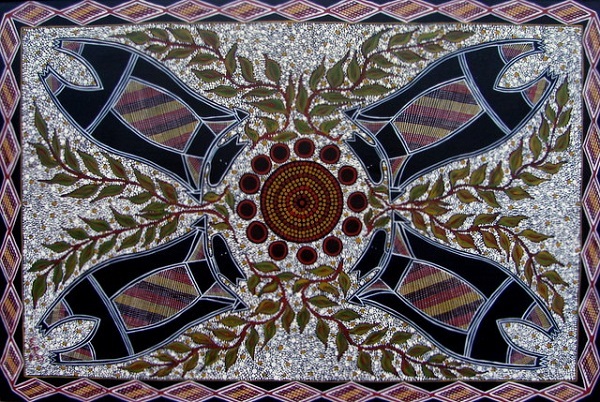 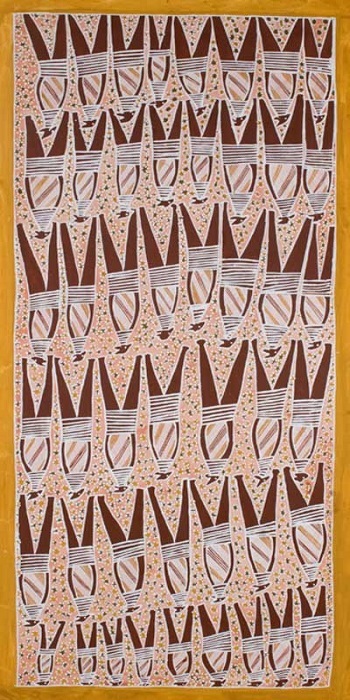 The same design is painted on the murrukunja, or 'morning star pole', used in the so-called 'morning star' ceremonies of ritual diplomacy which are staged between clans throughout Arnhem Land. 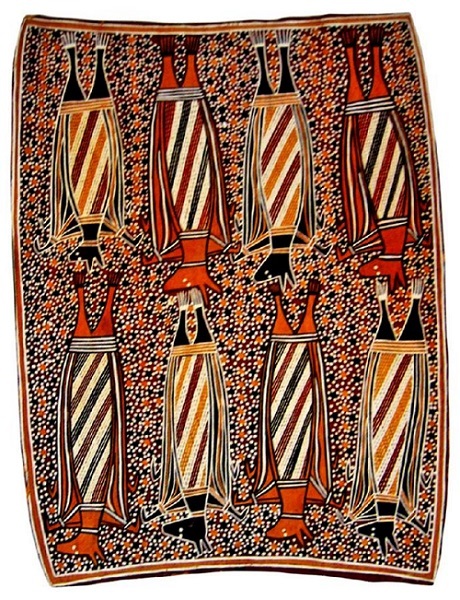 During these ceremonies the design may also be painted on men's bodies. 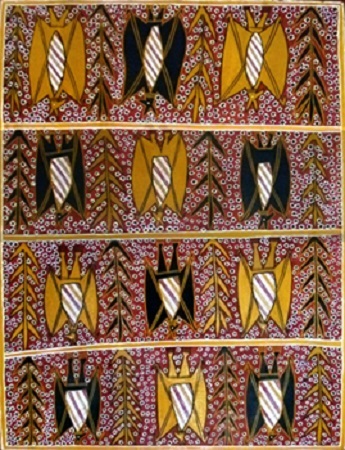 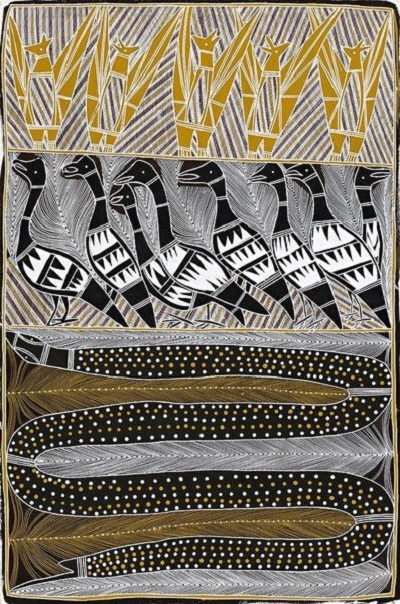 This design is owned by the Ganalbingu clan and cannot be copied by anyone else. 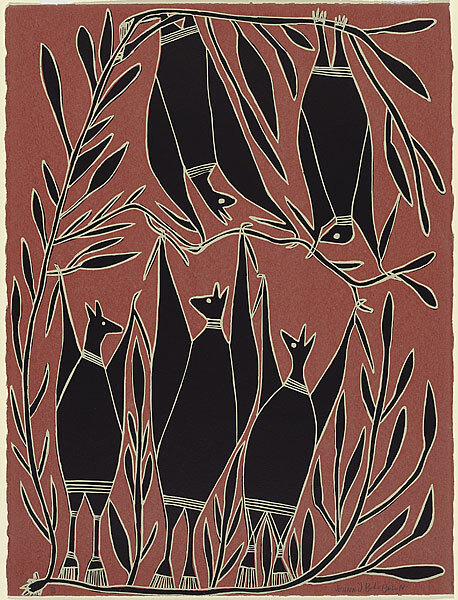 This print depicts the public or 'outside' parts of the totem, but there are also a number of secret or 'inside' aspects that must remain unrevealed.